I am Jack Byno, a City of Sachse, Texas traffic ticket attorney. I have been representing clients in all of the municipal courts of Dallas County since 1994. Sachse is one of the smaller courts in the County, but your case is no less important to me. I can help you with your speeding citations, traffic warrants, CDL violations, and driver's license suspension hearings. My practice is 100% concerned with the traffic courts that handle Class C Misdemeanors. Other attorneys may do traffic ticket defense as a side line, but it is the center piece of my practice. Contact me for help defending your Sachse traffic ticket. 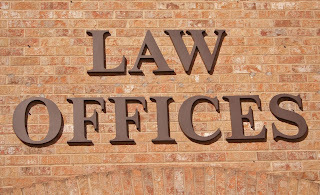 I am a speeding ticket defense attorney that represent clients in the Sachse Municipal Court. The attorneys of our law firm can appear in court on your behalf and keep the speeding citation off of your record by requesting deferred adjudication. Not every driver qualifies for the probation on a speeding ticket. You may not qualify if you have a commercial driver's license (CDL), were charged with speeding in a construction zone with workers present, if you recently had a deferred disposition, or if the speed you are accused of is too fast. Most people are eligible and in those situations, i can appear in court for you, work out the best deal I can, and then communicate the outcome to you. Contact me to begin the process of representing you with your speeding citation. Capias Warrant: The defendant was found guilty either following a trial or by his own plea. he then failed to pay his court ordered fines. I can help you lift your alias and bench warrants because you have yet to have your day in court, but if your warrant is capias, I am sorry to say, it is too late to help you. In this situation, you must pay your late fees or sit them out in jail. If you are eligible for a bond, contact me to lift your Sachse traffic warrants. More about the Sachse Warrant Roundup. Are you a CDL driver with a speeding ticket in Sachse, Texas? As you know, you are not eligible, as a matter of law, for deferred adjudication or defensive driving. I understand what you are up against. Most people do not understand that it is not just a speeding citation and fine that concerns you. It is your driving record. Without a clean driving history you may lose your job, lose your license, and possibly everything that your profession supports, like food on the table. The attorneys of Jack Byno & Associates have been representing drivers with CDL and trucking violations since 1994. We can be retained for trials or plea bargains. Contact me today to determine what your best course of action is. Jack Byno & Associates have been representing clients in all of the Dallas and Collin County municipal courts, including Sachse, since 1994. Our entire practice is dedicated to keeping your driving record clean and representing you with Class C Misdemeanors. There are few attorneys that claim the same. We are here to help you with your speeding citations, CDL violations, lift your traffic warrants, and defend you against a driver's license suspension. Contact us today for help with your Sachse case.